All highly profitable firms attract competitors, and only firms that are able to keep competition at bay will earn above average profits for an extended period of time. An economic moat - or competitive advantage - allows a company to fend off competitors and earn sustainable, excess economic profits. Following on the heels of the national best-selling The Little Book that Beats the Market, which has sold over 275,000 copies since its November 2005 publication, The Little Book of Value Investing offers investors (professional and amateur alike) the necessary tools to follow a value-investment model that consistently beats the market. 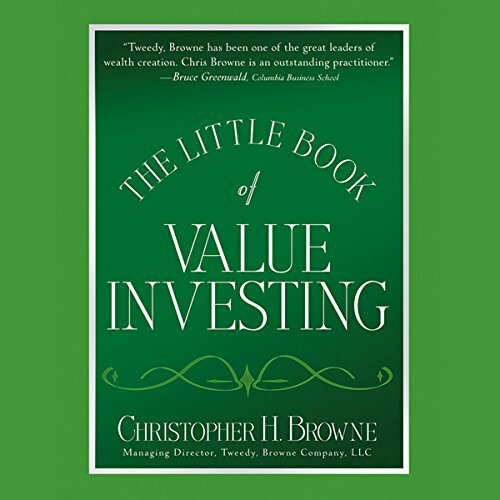 Written in an easy-to-understand tone by Christopher H. Browne, the managing director of Tweedy, Browne Company, one of the most highly-regarded investment firms in the country, The Little Book of Value Investing is sure to be the next big thing in investing. 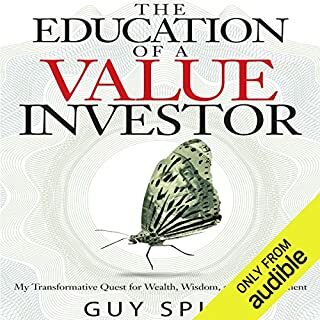 This audiobook discusses the most important methods, ideas, and approaches in value investing including chapters on where to find value, buying stocks when they are on sale, long-term investing, when to hold and when to let go, and how to be a knowledgeable investor. Wonderful content, but must get in print form. The book has lots of technical descriptions that need to be re-read, never mind the lost charts. If you have the book it would be great refresher. Loved the book. It's a great introduction to the way of stock market investing called Value Investing. The book gives great insights on the differences between Value and other strategies of stock investing. 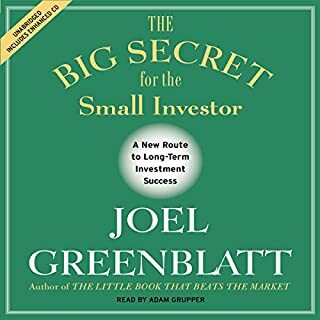 This is a must for anyone interested in long term, sustained growth in their portfolio as well as fundamentally analyzing companies for potential investments. This relatively short book is full of a lot of good information. What I like best about it is that it is not just theory: It names names for model dividend based stock portfolios. The book's website provides updated information on the stocks named and the top 1500 stocks in the S&P. Understand the fundamentals & how it all ties with the markets. This little book packs a punch! Short, sweet, and to the point. Quality information for anyone looking into value investing. Good read. The book provided great insights to me and the many other Graham disciples on the magic of Value Investing. You can't time the markets. The only way to get ahead and stay ahead is by buying companies where you are paying the equivalent of 60 cents on the dollar. That margin of safety will almost but guarantee the stock price will rise over time. The concept is so easy but so many people don't have the discipline of the wherewithal to do it. For many value investing is boring. But how can making lots of money be boring? Take the concepts in this book and run with them. Great book, and a must to listen to. Great information to listen to. This is as easy as it can get when it comes to learning about value investing. The thing I loved about this book was that it provided practical information. 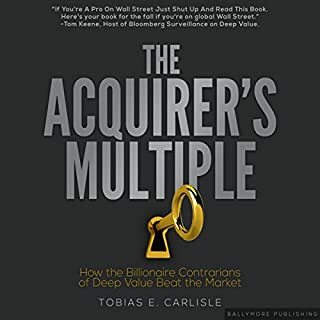 Many of the things I have read regarding value investing thus far have been vague and very broad. This book actually spells out what you should be looking for and where. It offers insights that are useful and although value investing is somewhat of an art, I would still go as far as to say that it gives you a systematic framework to follow. Excellent narration and great production. 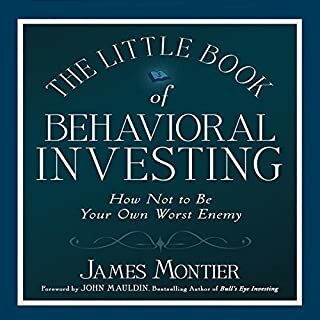 The book is 10 years old now and starting to date a bit, but is still one of the best books available on value investing. 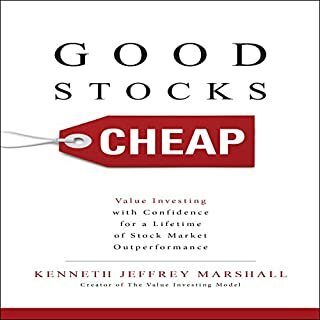 Very practical guide on how to pick good value stocks. Good, solid guide to the subject. This is one of the better volumes in the "Little Book Of" series. A sensible, to-the-point and comprehensive guide to sniffing out under-valued companies for long-term buys. There's refreshing little time wasted on lengthy anecdotes and pointless analogies, just a no-nonsense breakdown of what you need to know. I found that this book was a bit repetitive and didn't go into enough depth. Still worth a listen though. 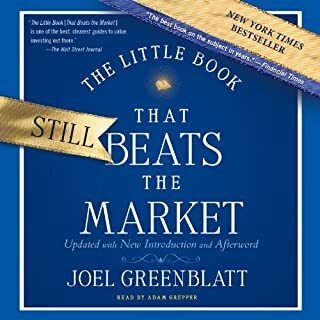 For those investors wanting to get a better education of value investing made famous by Ben Graham & Warren Buffett, this is a must read book.